You might think of cinnamon as just a tasty ingredient in tea and many foods, it actually has a long history of use as a medicine. Its beneficial properties come from the essential oils in the bark.The Memorial Sloan-Kettering Cancer Center (MSKCC) notes this herb has demonstrated antimicrobial, antioxidant, anti-inflammatory and immune-stimulating effects in vitro. Drinking cinnamon tea might help a variety of conditions, but not enough research exists on its use to officially recommend it for any particular condition. 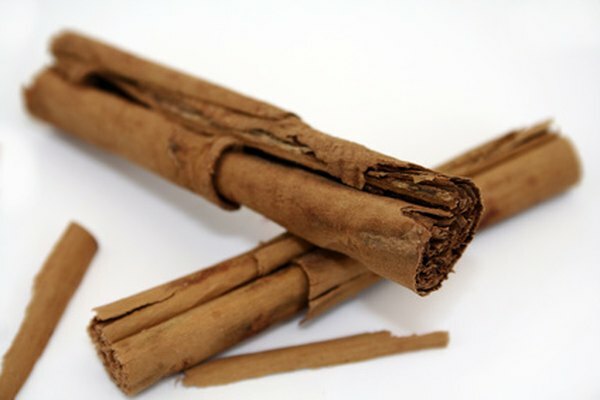 Traditional Chinese medicine frequently employs cinnamon to combat colds and flu at their onset. Its volatile oils help clear up congestion and break up mucus. The traditional remedy calls for drinking cinnamon tea mixed with fresh ginger. The MSKCC explains this herb has demonstrated anti-inflammatory properties, making it a potentially useful treatment for arthritis and other conditions influenced by inflammation. One of its essential oils, cinnemaldehyde, appears to interfere with the release of arachidonic acid, a fatty acid that promotes inflammation in the body. Clinical research has produced mixed results on whether or not cinnamon can impact blood sugar levels in type 2 diabetes, explains MSKCC. A study in the June 2007 edition of the "American Journal of Clinical Nutrition" states that adding cinnamon to rice pudding reduces the rate at which the stomach empties by 34.5 to 37 percent, compared to subjects who eat rice pudding alone. Slower emptying time helps prevent dramatic rises in blood sugar. If you take medications that affect blood sugar levels, do not use cinnamon or drink cinnamon tea without consulting with your doctor. Cinnamon contains compounds that exert blood-thinning effects in a similar manner as coumadin and other drugs of this nature. You should not use cinnamon tea or other cinnamon supplements if you take any of these drugs; this could cause excessive bleeding. Blood clots are a serious and sometimes deadly problem, and you should not self-treat clotting disorders with cinnamon or any other natural treatment without consulting a qualified health care professional. In addition to soothing colds, cinnamon tea improves blood circulation and aids upset stomach and menstrual symptoms, according to Tea Benefits.com. It pairs well with pastries and fruit and fills the home with its sweet scent.